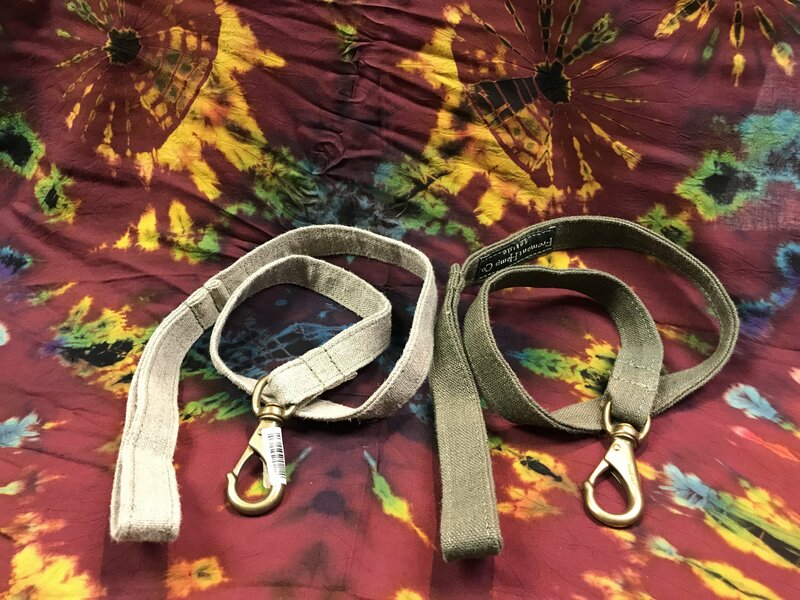 These high-quality HEMP dog leashes were manufactured by The Fremont Hemp Co. of Seattle. Fremont Hemp is no longer in business and FOR MOTHER EARTH is lucky to have a stock of the last of these wonderful leashes. Thick HEMP fiber, strong stitching with HEMP thread, and heavy brass fittings combine to make a strong and long- lasting leash for your pet.